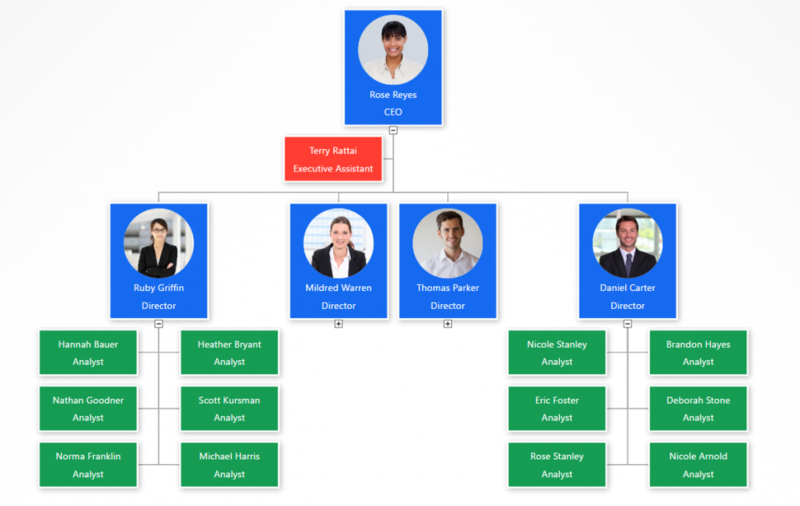 Take the time to color your org chart to fit your brand identity and styles. Organizational charts are everywhere, but rarely make people say “Wow!”. 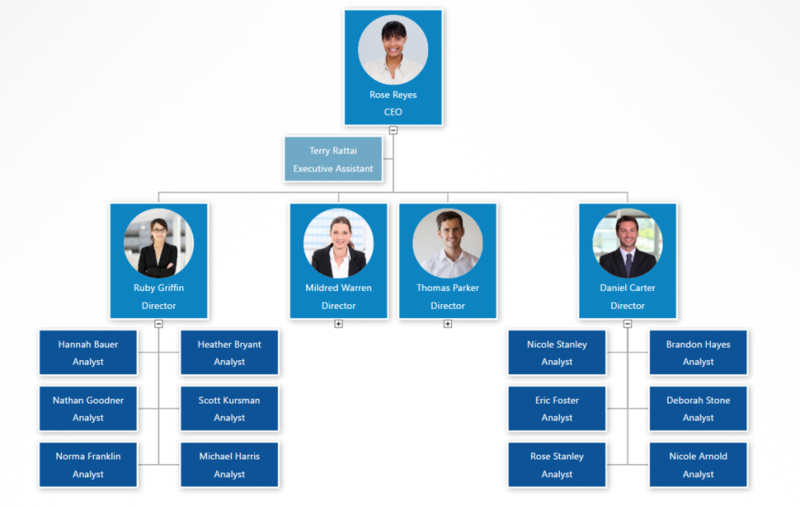 For the same reason that web designers agonize over color palettes, your org chart could have much more impact with the right colors and styles. 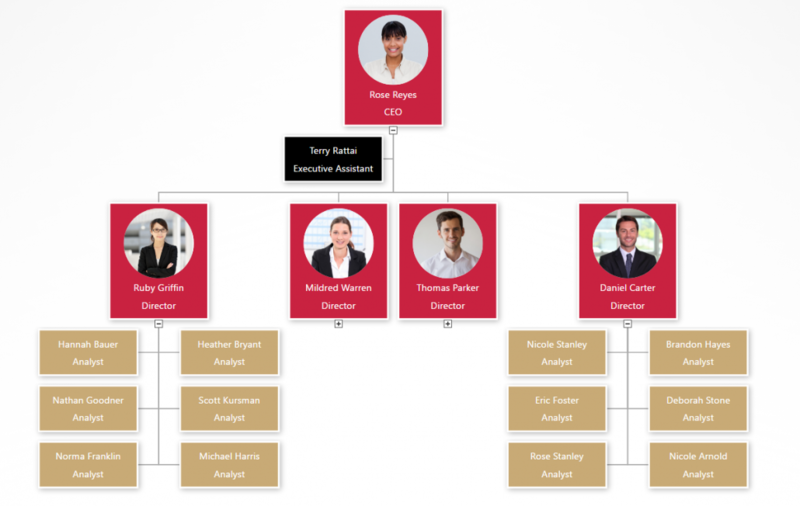 Here’s a quick overview of how to do it and some examples of OrgWeaver org charts that are perfectly color matched to some of the world’s most recognized brands. Choose how much data to show in each org chart box. Focus on just profile photos, names, and titles, or get more detailed with contact info, unit name, position description, and much more. 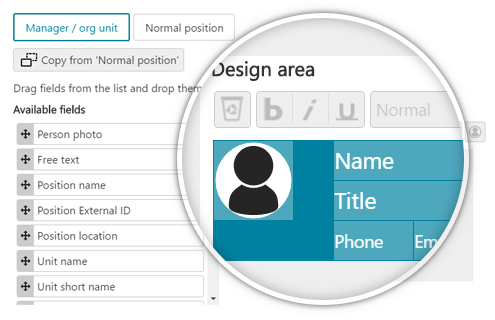 Drag and drop each piece of data so they fit perfectly in the org chart box. 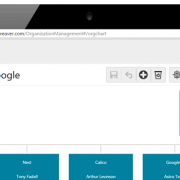 Save one style that automatically updates hundreds of org chart boxes. 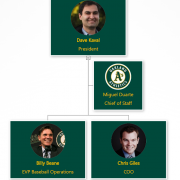 Convinced that adding your official colors to your org chart could have more impact? Then go find your brand’s Hex colors right away. If you don’t have a great org chart software yet, then get started creating a colorful org chart with OrgWeaver for free.